Yamaha's FZ was a good idea. 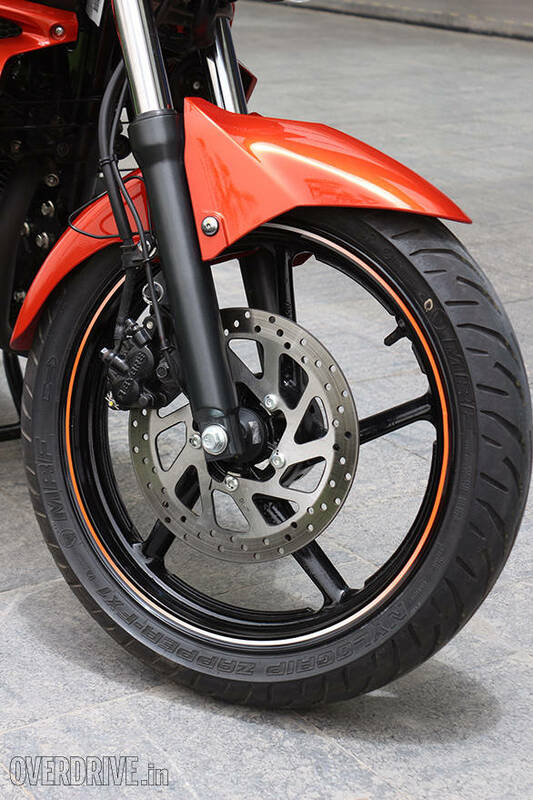 The company got many things right including starting their engineering from the width of the rear tyre - which remains a startlingly popular and sticky Indian predilection. When it arrived, it had a plastic tank (cover) which was a new idea, styling that looked right (both for the time as well as its global design) and it also had the traditionally excellent Yamaha build quality as well. In short, the FZ was a promising motorcycle. Since then, it has done well too. It's led Yamaha's volumes back up the charts (though the scooters arguably have a vital role in this as well). It's remained popular while the company lost its dynamic edge and embarked on an FZ-based adventure that involved mostly the fairing plastic, suffixes and stickers. Until now. Yamaha have (finally) rolled out the new FZ version 2.0 with a not-so-subtle FI suffix. At first glance, it looks like an FZ but subtly different - which is the way product updates have to be. You cannot make a dramatically different product without significant risk. 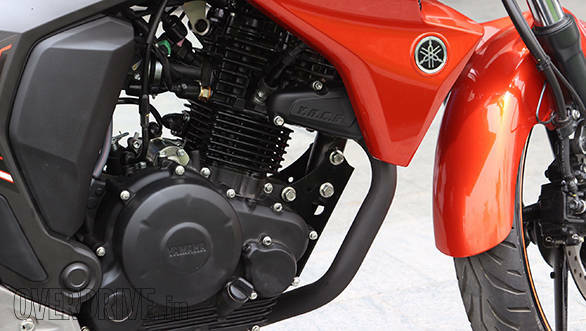 In any case, it isn't as if the FZ needed a dramatic style upgrade. What the version 2.0 does get, though, is more sculpting. I'm not averse to it but I'm not a fan of busy designs any way. All the body panels have more sculpting and the frame below the tank (sort of like a faux radiator shroud) is now a vastly more complex shape. But credit where credit is due, the bike does look sharper and fresher except for the all-covering overwrought splatter guard that suggests that Yamaha is out to ensure that Tide, Ariel et al will be out of business before the rains are over. The big change is Yamaha's new Blue Core technology. We have a detailed explanation up already so we will not go into it here . What it means is that the FZ engine is brand-new for all practical purposes. It gets a slightly smaller bore and hence displacement is down to 149cc. Yamaha have also worked the whole engine over leaving only the gearbox without updates. Even the final drive has changed with the rear sprocket gaining a tooth and becoming a 41 tooth unit. The smaller displacement does mean that power has come down by roughly 1PS to 13.1PS at 8,000rpm while torque is down by roughly 0.8Nm to 12.8Nm at 6,000rpm. While that sounds like spec sheet suicide, the bike also loses 3.5kg, thanks to an all-new frame. So when you're out riding, you won't notice any drop in power, I promise. I found, in fact, the engine feels about the same as the old one but with markedly improved refinement across the rev range. It feels a little more urgent in acceleration and what I really like is that unlike the old FZ, it doesn't seem to lose steam and flounder even when you're about to bash into the redline. 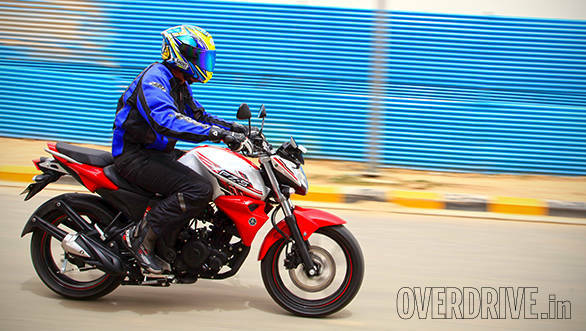 The old FZ actually got quite flustered, comparatively speaking, at the redline and it was the (expensive) Yamaha FZ Race Kit that actually returned some semblance of top-end to the bike. Well, if you can get 14 per cent better economy (Yamaha claims), better 0-100kmph performance (seems possible) and it feels better overall then I don't think the loss of displacement should be a sticking point at all. On the move, the FZ, again, feels very familiar. There was this reassuring stability and feel to the FZ chassis that the new chassis retains and it feels a bit more agile but that could just be my imagination - we will verify at the road test after a more extensive ride. Ride quality feels gentler too but I rode the bike near the Delhi Airport which is awash in fresh pothole free tarmac so again I'm going to request you to wait for a longer ride before I confirm. Yamaha have also made other changes to the FZ, most of them clearly useful. 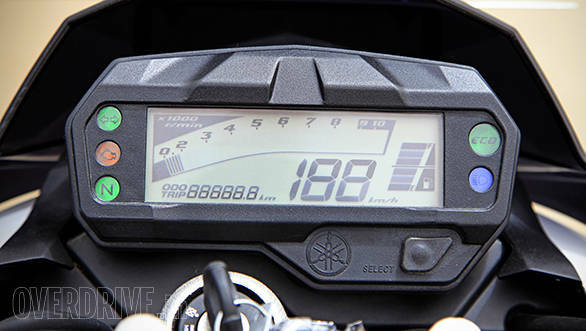 For example, the new FZ V2 gets all-digital meters like the old one, but all the graphics and gimmicks have been left behind. So there's now a clear set of meters with a large digital tacho that I had no trouble reading even in the bright noonday sun. The meters include a green Eco light that subtly prompts you to ride for better economy. But there are also a few omissions that I thought were unnecessary. For instance, the all-digital meters don't have a clock which is very hard to explain. 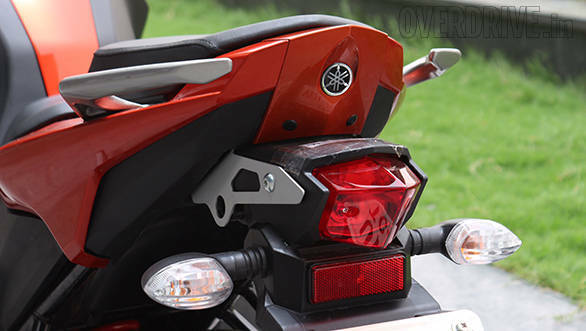 Similarly, the tail lamp which is redone and sits in a eye-catching black and metal extension under the tail light still isn't an LED unit. Overall, the FZ V2 update is limited in scope because the motorcycle has to enter a very well-defined playing field and in that sense the pricing and options latitude is limited. That said, I think the FZ V2 is better in every respect (road test pending) than the outgoing bike and that's how updates are supposed to work. It retains all the high points of the old bike - easy to ride, easy to live with, good city manners, light clutch operation etc and improves in almost every critical area. 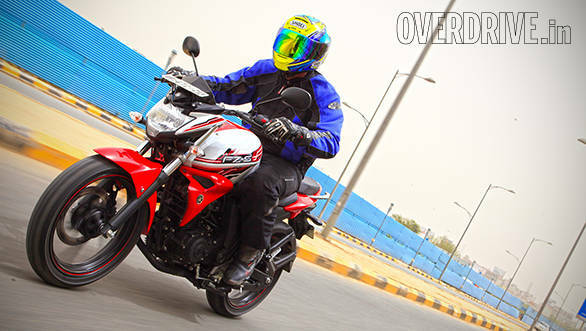 Yamaha are pricing the FZ V2 at Rs 76,250 ex-showroom Delhi while the FZ-S (in the pics) is Rs 78,250 ex-Delhi. 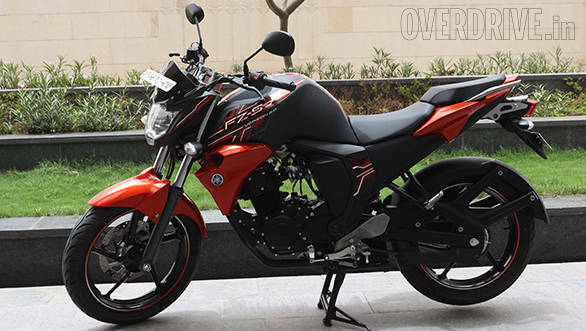 This makes the FZ V2 roughly Rs 5,000 more than the old bike. Fuel injection alone explains the price difference and there's no question that the V2 is the better bike of the two. The 150cc commuters haven't seen much action in ages and it looks like we're headed into exciting times for the segment. Bajaj is expected to launch the Discover F150 next month while the Suzuki is also expected to be around the corner. Will the Yamaha update be enough to keep the FZ's momentum going in the face a handful of all-new machines? Stay tuned for action.